A beautiful day…and only 20 rows to go! Working outdoors you get to see the many sides of nature, from storms to snow, hail and heat. You become to appreciate many facets of the seasons as they continually turn to reveal natures moods. 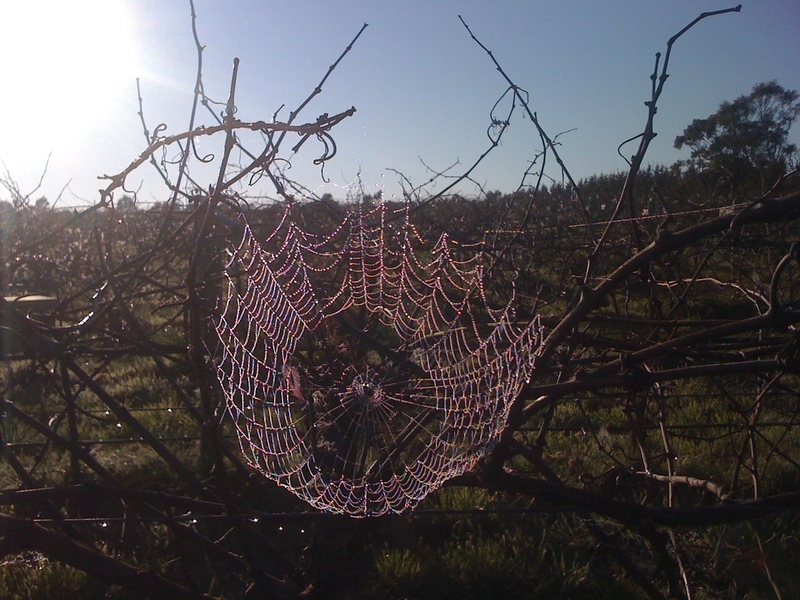 But here the mood is obviously joyous as the morning light refracts through a cobweb framed by the seeming rabble that is the remaining 20 rows of unpruned vines. Previous Previous post: Bottling Completed!